For your convenience, we offer three methods to schedule your next appointment. Prefer to walk-in? That's fine too! Note: If it is less than 24-hours before your requested appointment time, we suggest: (1) Use our online booking tool (it will show you exactly what is available and allow you to book it immediately). (2) Give us a call. Email does not allow for immediate booking. Please fill out the below form with your top two choices for an appointment time. Alternatively, you can send an email to appointments@almanaturalspa.com We will then respond to your inquiry with an appointment time. 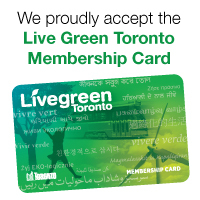 Please call us at (416) 546-7462 and we'll be happy to schedule your next appointment. In order to ensure we can best serve all of our customers, we kindly request 24 hours notice to cancel your appointment. Appointments cancelled within 24 hours will incur the charge of the service if we cannot fill the time. If you are running late to your appointment, please call us to let us know at (416) 546-7462. Please note we will make every attempt to work you into the schedule, but may need to adjust or reschedule your appointment to ensure we can best service all of our clients.